Quantifying your riding is a great way to track progress, fitness, and satisfy your curiosity for statistics. It is always fun to be able to say that you rode ten, twenty-five, fifty, or even 100 miles. A bike computer will track your ride metrics, from time and distance on the most simple computer to location, power, and far more on the most powerful and best bike computers. This review is of some of the best bike computers around will help you choose what is right for you. A simple bike computer should be just that; easy to use without too many functions to complicate its operation. Look for a sturdy cable between the sensor at the wheel and the computer itself. A big display that is easy to read is a necessity. The Cateye Velo 7 is the most basic bike computer from a venerable manufacturer. Cateye has been making computers since 1981 and their reputation shows in their products. They are easy to use and functional. The Velo 7 has one button operation with current, average and maximum speed, trip and total distance, clock and elapsed time. It covers all of the basic functions a simple computer should without the clutter of additional metrics. And the best part of it is that you can find it for less than $25. Gauging your effort beyond time, distance, and speed requires physiological metrics. The most simple way to do that is with heart rate. Of course you will want all the other functions of a cycling computer too. Time will be the most important feature so you can track your time in a given heart rate zone for your workout. Along with that, you will get a wider range of functions from a computer that receives heart rate. 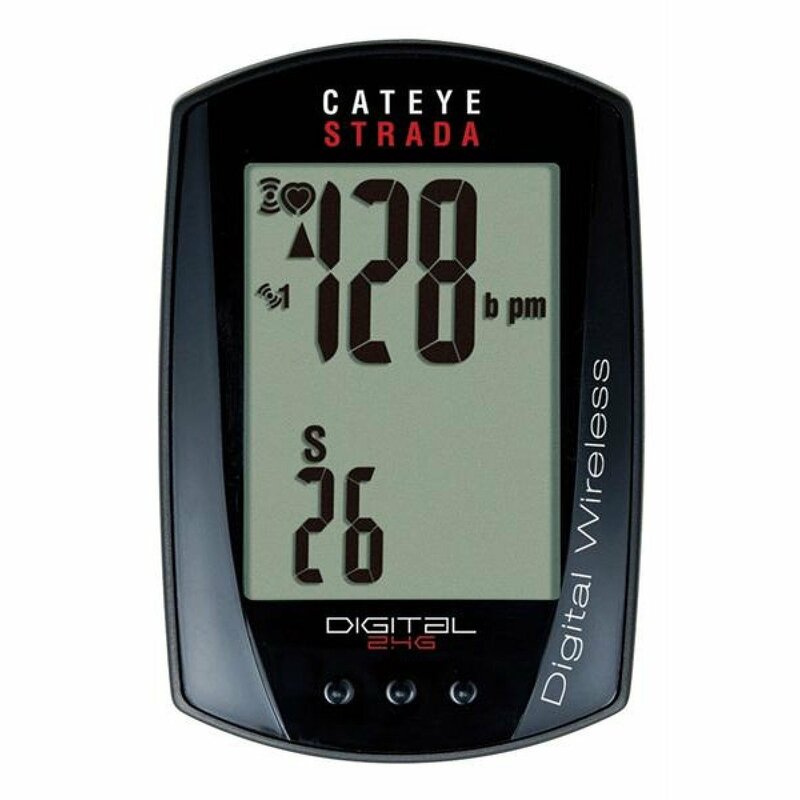 The Cateye Strada Wireless with Heart Rate has all of the features of a basic computer plus heart rate functions and wireless sensors and set up. Wireless speed sensors mean no wires to attach to the frame or fork of your bike, leaving a cleaner and easier set up. Heart rate is always wireless and the computer comes with an upgraded cloth strap that is more comfortable. Additionally, the sensors and computer are coded to avoid interference in transmission. For $100, this is a good deal for a reliable computer plus heart rate package. 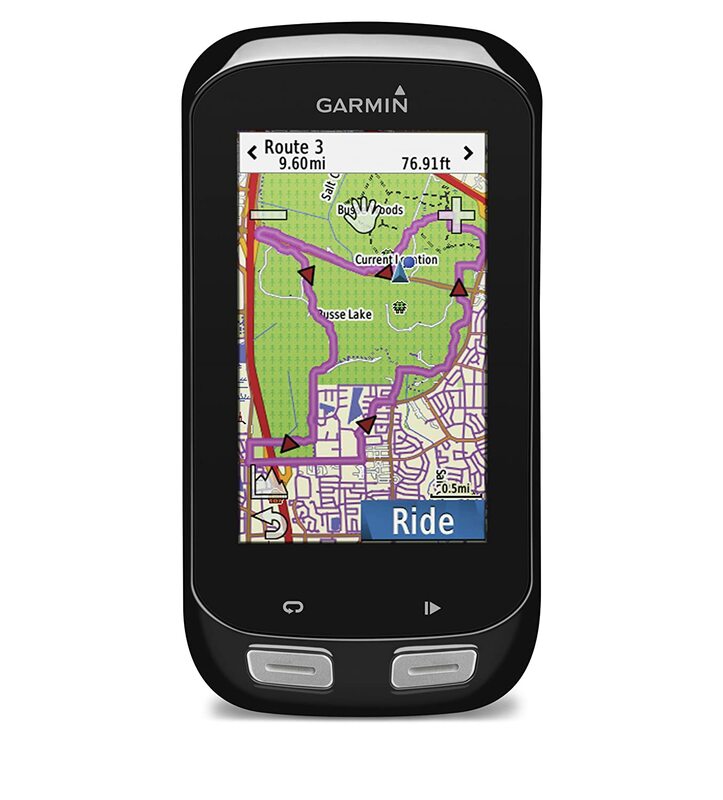 A computer with GPS will both give you directions so you can follow a route on a ride and give you a map upon return so you can see where you have been. If you often get lost or like to explore new places, this is a powerful function on a bike computer. Additionally if you like to Strava your rides, this is the simple way to do it without using your phone. 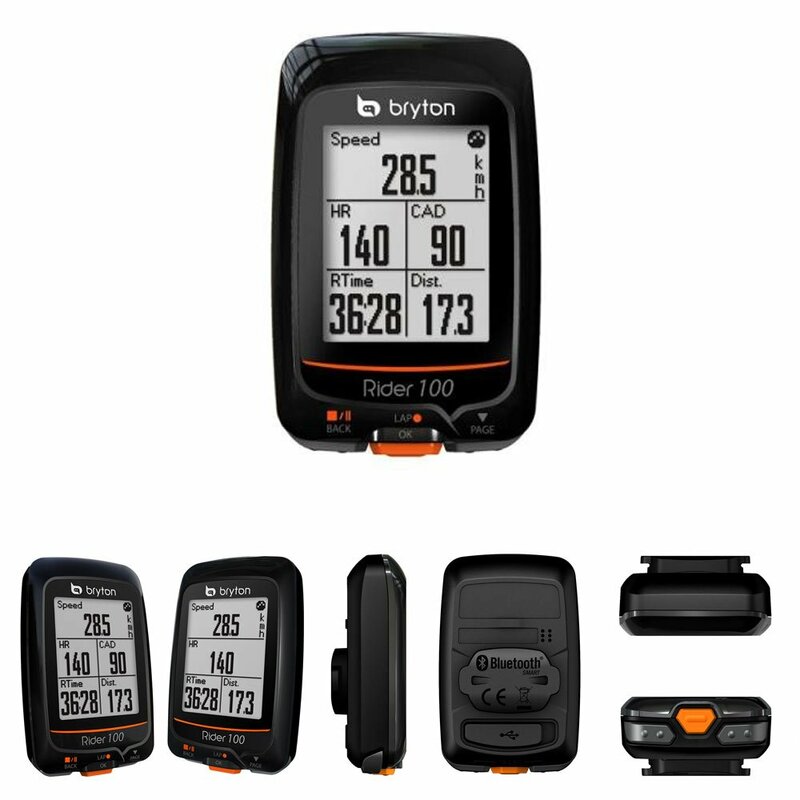 The Bryton Sports Rider 100 is a simple and affordable GPS cycling computer. Bryton Sports is a newer company in the cycling world but has long been in the automotive world so knows its stuff. The computer also has the handy feature of automatically detecting heart rate and configures the screen for easy viewing. Bryton Sports also has their own platform to upload your rides to as well as to map future rides. At a price of $66 it can’t be beat. If you have a power meter, you will want to pair it with a bike computer that will display all of the metrics you find useful. Multiple customizable display screens give you flexibility with the data you want to see at a given point in your ride. The ability to recognize both ANT+ and Bluetooth protocols gives you flexibility with the devices you pair with the computer – power meters, heart rate monitors, speed sensors, your phone, etc. 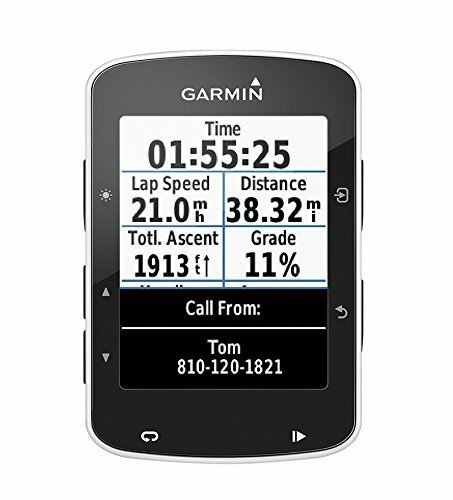 Garmin cycling computers are the gold standard for full functions cycling computers. The Garmin 520 is the latest version of their compact full function cycling computer. The display is upgraded for easy viewing in all light conditions. There are many new advanced functions that go beyond basic metrics that were once only available with analysis software upon return home from a ride. It also pairs with your phone to give notifications on the computer screen, along with potential Strava segment notifications. All of this can be yours for a touch under $300. The most complex cycling computers are nearly as powerful as a smartphone, with device pairing, diverse metrics, easy to read screens, and detailed mapping. The mapping features are what sets a full function, full size computer apart from a computer focused on displaying ride metrics. 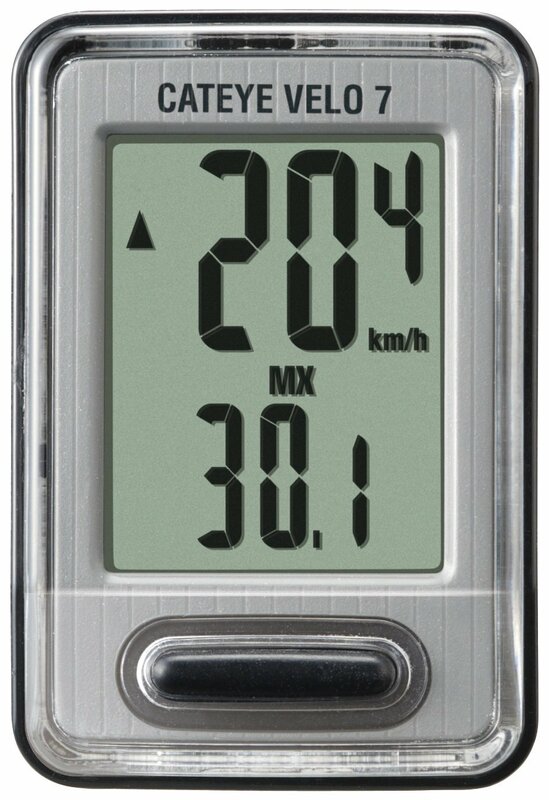 The Garmin 1000 has a large display and fully detailed maps along with all of the features of the 520. The mapping is tuned to bike specific routes to keep your riding safe. It has a three inch screen to make sure the powerful maps are easy to see while you are riding. If you need detailed navigation with every possible metric, this is the computer for you. It costs a bit under $500.